As part of his dedication to using the latest collaborative technologies in plastic surgery, Dr. Robert Mandraccia is proud to offer Vitality Lift, an innovative approach to facial rejuvenation that is designed to produce beautiful results through the use of your body’s own natural healing resources. The VitalityLift is minimally invasive and involves a short recovery period, making it an incredibly valuable option if you are interested in restoring a more youthful overall look to your face. Call (239) 443-4633 to learn more about how our Ft. Myers plastic surgeon can use VitalityLift to help you look as good as you feel. How Does the Vitality Lift Work? The Vitality Lift uses your own blood platelet components to naturally rejuvenate your skin. The platelet-rich plasma (PRP) we obtain from your blood, also know as platelet rich growth factors (PRGF), undergoes a process called biostimulation to produce collagen and keratin, revitalizing your skin’s appearance. Once we have obtained the PRP from your blood, the platelet gel is injected into your wrinkles for immediate volume augmentation and long-lasting collagen regeneration. Additionally, the platelet gel enhances the texture and vitality of your skin by creating new blood vessels. Newly created vessels provide vital nutrients for your skin, helping maintain a younger appearance. Dr. Mandraccia uses an FDA-approved electronic device called Dermapen® to inject your PRP into specific facial areas. The Dermapen® device stimulates your body’s own healing mechanisms, allowing precisely-controlled introduction of PRP to specific depths in your skin. The Vitality Lift is a safe, bio-friendly approach to wrinkle reduction and volume augmentation. It can be combined with additional therapies to help patients achieve even more dramatic results. For example, some patients may want to combine a VitalityLift with a traditional facelift and/or eyelid surgery. Like all of our procedures, the Vitality Lift is performed in a state-certified en-suite surgical environment, which, unlike some plastic surgeries performed by competitors, offers a high level of safety and efficiency without the typical expense of a hospital procedure. If you have further questions about the Vitality Lift procedure, please contact Dr. Robert V. Mandraccia, MD at(239) 443-4633 to schedule an initial consultation. 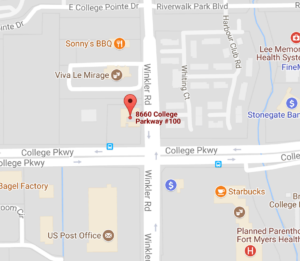 We serve patients throughout Bonita Springs, Estero and Ft. Myers, Florida.